Tragedy is no stranger to 12-year-old Pedro. His father abandoned him when he was two years old. His mother, Teresa, was left to raise him alone in the rural community of Xonca, Guatemala. His mother eventually re-married, but two more children and a few years later, Pedro’s step-father passed away due to illness. Pedro and his family were struck with devastating tragedy after devastating tragedy. How can a family recover after experiencing this level of grief? But Pedro and his family were also being supported. Pedro is an FH sponsor child enrolled in school. And he’s actually a model student, reviewing lessons before class to learn more and improve his grades. His teachers received training from FH staff in Guatemala, part of an FH program to buff up teaching standards in rural communities. The curriculum is values-based, helping children develop character as well as skills. “Respect to the parents” and “God has a plan for me” are two of the many lessons Pedro has learned at school. As Pedro’s character has developed through school, he’s started to dream of becoming a social worker so he can help those in need in his community. His principal says he’s very active and shows promise of being a great influencer. Pedro has even learned to forgive his father who abandoned him. He knows what forgiveness and love is, and Teresa credits FH’s teacher training programs for instilling her son with these values. 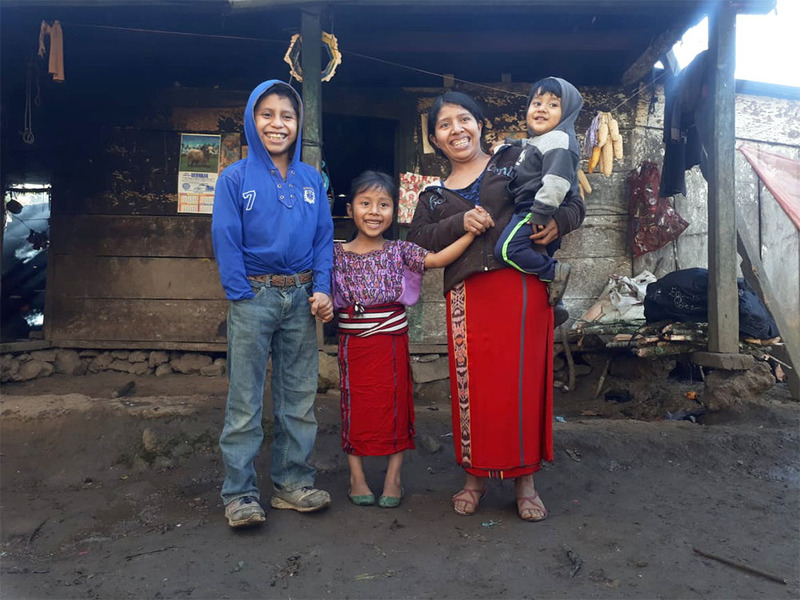 “I have learned that God wants for my kids to grow healthy and for them to be smart to achieve anything they want and develop the potential God has given them,” she explains. They are thankful for FH, for sponsors, and for school programs teaching lessons in character.